Marian Hossa Injured: How Concerned Should Blackhawks Fans Be? 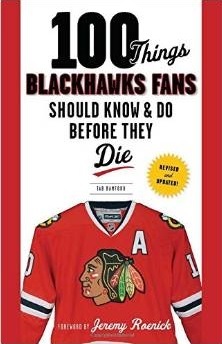 However, Hawks fans should be concerned. Very concerned. Of course he had shoulder surgery after signing his deal with the Blackhawks in the summer of 2009, but it doesn’t appear to be his shoulder that’s the problem. In fact, when Hossa missed time earlier this year, the organization was specific in denying that the injury was related to last season’s issues. In late February of 2008, in his debut with the Pittsburgh Penguins, Hossa was hit in the knee and suffered a slight tear to his MCL. There were also reports that he had “minor” arthroscopic surgery on a knee this summer after the Stanley Cup championship. And does anyone remember this play in Los Angeles from the end of the Circus Trip? There are two things missing from that video clip: a Hossa goal, and the extra gear that makes Hossa an unstoppable force. Nothing against Rob Scuderi, but the best defensemen in the league can’t catch a healthy Hossa from behind when there’s nothing but ice between him and the net. This play indicates that there’s something wrong with Hossa. His collision with Nick Boynton in practice on Monday might be the fire-starter for fans, but this is a lingering issue that may have finally reached a point where the organization needs to sit him down for a while. UPDATE: Adam Jahns tweets from Tuesday practice that Hossa will miss 2-3 weeks with a lower-body injury.